UK Pet Photographer of the Year. Pembrokeshire-based photographer Ross Grieve has won a top prize in a major national and international photography award ceremony. Celebrating the Masters of Photography, the annual Master Photographers Association (MPA) Awards welcomed some of the greatest photography talents in a glittering awards ceremony on Sunday. Bringing the photographic industry together, with unprecedented awards, the Master Photography Awards is the most anticipated event in the professional photographic calendar. Judges from across the globe selected a record number of nominees this year. Which reflected the high standard of photography entered into the awards. The MPA annual awards celebrate the Masters of International Photography. 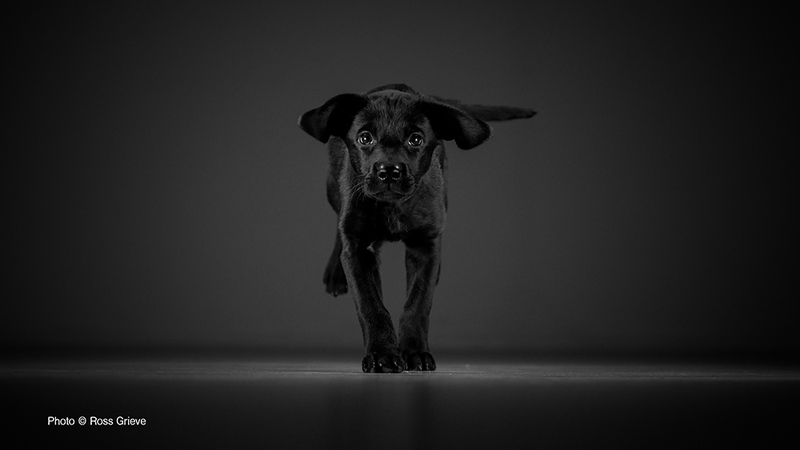 Ross won the UK Pet Photographer of the Year in the 2016/17 Master Photography Awards. Ross beat-off stiff competition to scoop his prize, with other leading photographers from across the UK and overseas all striving for recognition in the awards. Professional photographers from around the world were joined by representatives from the major photographic companies and trade. With knowledgeable industry observers keenly attending the awards ceremony..
Ross, whose studio is based in Cresselly. Picked up three awards of excellence and three merits to add to his outstanding achievement. The awards, run by the Master Photographers Association (the MPA), is one of the most prestigious within the photographic profession. Membership of the association is restricted to professional photographers.